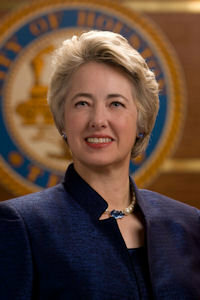 Mayor Annise Parker today released a draft of her proposed Equal Rights Ordinance. The document is the result of more than two months of collaborative discussions with various stakeholders. Houston is currently the only major city in the country without civil rights protections for its residents. The draft ordinance will prohibit discrimination in city employment, city contracting, housing, public accommodations and private employment at businesses with at least 50 employees. To avoid First Amendment issues, religious organizations are exempt from the definition of an employer. Complaints about violations of the ordinance and decisions regarding prosecution are to be handled by the City’s Office of Inspector General and the City Attorney. If the subject of a complaint refuses to cooperate with an investigation, the City Attorney may ask City Council to approve the issuance of a subpoena to compel cooperation. In addition, the mayor has the discretion to create an advisory task force to study and report on matters related to the ordinance. Mayor Parker intends to present the draft ordinance to City Council’s Quality of Life Committee on April 30. Consideration by the full City Council is scheduled for May 7. The ordinance may be viewed by clicking the Ordinance Feedback icon under the mayor’s photo on the homepage of the city’s website at www.houstontx.gov. See here and here for the background. A direct link to the ordinance is here, and if you’re wondering why we need such a thing in Houston, I recommend you read this Equal Rights Ordinance Guide helpfully put together by the Houston Stonewall Young Democrats. As we know there had been some concern about private employers not being included in the ordinance, but as you can see that has been addressed. Nothing like a little public engagement on an important issue. The Chron story gives us a feel for the lay of the land. Parker initially had talked of creating a human rights commission to hear complaints, but that idea was left out of the proposal announced Monday. Greater Houston Partnership President and CEO Bob Harvey said his group’s key concern with the idea had been the commission. The Houston GLBT Caucus, during last fall’s elections, asked the mayor whether she would introduce, and council members whether they would support, a nondiscrimination ordinance; Parker and 11 council members said yes. Caucus President Maverick Welsh said he is pleased private employers were included. Councilman Michael Kubosh said he is concerned Parker is stressing the ordinance’s sweep when her goal is adding protections for gay and transgender residents. If accurate, he said, that is where discussions should focus. Councilman Jack Christie said the draft’s dropping of a commission makes it an improvement over earlier discussions. There was a quote in there from one of the usual suspects that can be summed up as “haters gonna hate”, but beyond that I find these reactions to be encouraging, and boding well for passage. Still, I am sure there will be more opposition now that this is out, and I’m sure some members of Council will need a bit of pushing, so don’t quit engaging just yet. Just remember, when the predictions of doom and employers fleeing and whatever else begin to crop up, plenty of other cities in Texas and elsewhere have passed ordinances like this one, and last I checked the earth was still rotating on its axis. Nothing bad will happen, but a lot of good will. Texas Leftist, Lone Star Q, Texpatriate, TransGriot, and PDiddie have more.